APM Terminals and Hong Kong-based COSCO SHIPPING Ports Limited (“COSCO SHIPPING Ports”), a subsidiary of China COSCO Shipping Corporation Limited (“COSCO SHIPPING”), have reached an agreement on the key terms of the proposed sale of APM Terminals’ 76% majority shareholding in the existing APM Terminals Zeebrugge container terminal to COSCO SHIPPING Ports. 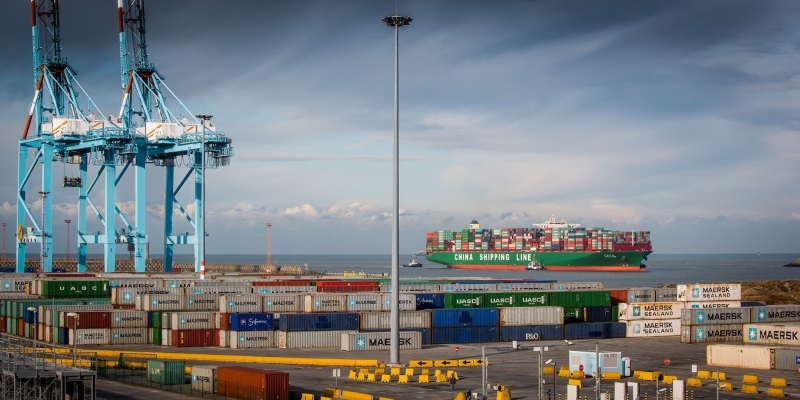 The acquisition will bring COSCO SHIPPING Ports’ shareholding in the 1 million TEU annual capacity terminal in Belgium’s second-busiest container port to 100%. As part of the transaction, APM Terminals has proposed to buy back 25% of the Shanghai International Port Group (“SIPG”) shares and will then sell them together with APM Terminals’ own 51% stake in Zeebrugge to COSCO SHIPPING Ports. Further details of the transaction have not been disclosed which is subject to customary regulatory approvals – expected to take three to four months for completion. APM Terminals opened the Zeebrugge terminal in October 2006 and later sold a 24% share to COSCO SHIPPING Ports in 2014. COSCO SHIPPING and its alliance partners have become the major customers of the port with a long term interest to grow port volumes. “Our decision to divest Zeebrugge reflects our portfolio strategy to focus on long term core assets. We believe COSCO SHIPPING Ports is the right long-term owner of the Zeebrugge facility and will continue to grow the port for customers, employees and the Zeebrugge stakeholder community,” stated Wim Lagaay, Head of APM Terminals USA and Europe Portfolio, based in The Hague, Netherlands. COSCO SHIPPING operates the world’s largest shipping fleet by tonnage. COSCO SHIPPING Ports is a co-shareholder and strategic partner in several operations within the APM Terminals global terminal network, including the Suez Canal Container Terminal, in Egypt, and Qingdao Qianwan Container Terminal (QQCT) and Guangzhou South China Oceangate Container Terminal (GOCT) in China. In October 2016, COSCO SHIPPING Ports acquired a 40% share in the deep-water APM Terminals Vado terminal project under construction in Vado, Italy. Fundamentally, there will be no change on our commercial and operational strategies as APM Terminals Zeebrugge is a common user facility with a strong track-record of serving alliances and shipping lines successfully with berth and quay crane productivity. -Germany, Austria, Switzerland, Czech 40 million. -Feeder, barge, rail, truck service. -Deepwater access for today’s largest ships. -No congestion at water- and landside. -7 Super Post Panamax Cranes with reach of 23+1, 9 tiers high above deck. -2 dedicated RMG’s for all rail operations.